In the United States, flu-related deaths are not very common, though they do occur. Typically, the only people who die from complications related to the flu are those with weakened immune systems (babies, the elderly, and chronically sick people). A new study, though, warns that when it comes to pediatric deaths, those with the flu probably died because they were not vaccinated. Or, to put it another way: a simple flu shot probably could have spared most (if not all) of those infants. These findings greatly underscore the vaccination debate (that vaccines only work if everyone gets them—something called “herd immunity”). However, this is the first real study to demonstrate that flu vaccination can significantly reduce the risk of a child dying from an influenza infection. The study followed 358 children (between the ages of 6 months and 17 years) over four seasons. 291 of these children had vaccination statuses, but only about 26 percent had actually received their vaccinations. Flu-related deaths were reported across 43 US states. In September, US health officials had expressed new concerns over new flu vaccine recommendations which could result in fewer children receiving their vaccinations. So far, the vaccination coverage estimates from last influenza season (2015-2016) showed that vaccination rates among children remain steady. 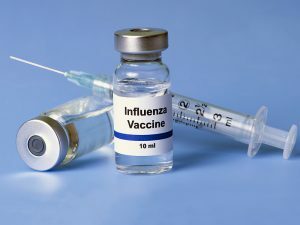 However, the data also shows that there has been a notable decline in vaccinations among adults older than 50 with influenza-related hospitalizations increasing for those older than 64 percent. Are A Few Extra Pounds A Good Thing? United States Trade Deficit Drops Sharply, Are We In A Recovery Period?